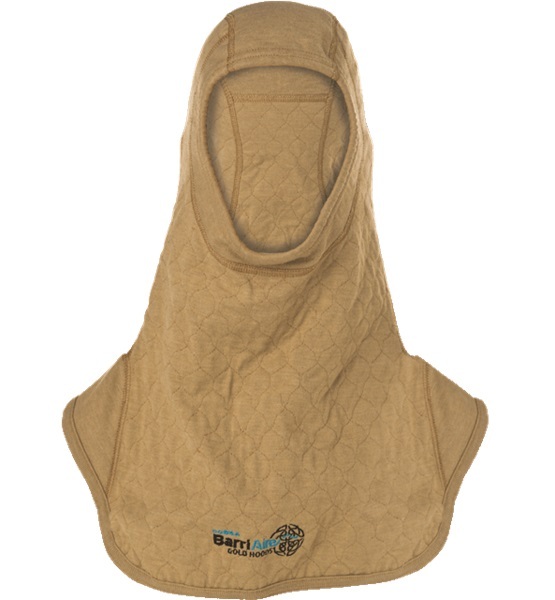 The COBRA™ BarriAire™ Gold Hood from PGI offers more protection from harmful particles and contaminants in the areas that pose the greatest risk of exposure. 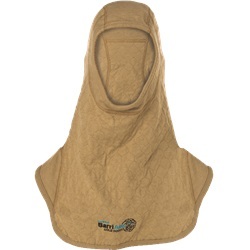 BarriAire Gold hoods combine an outer layer of PGI proprietary gold FR fabric and an inner layer of ultra-lightweight, DuPont™ Nomex® nano Flex fabric, which can inhibit penetration of many small size harmful particles. BarriAire Gold hoods combine superior comfort, increased protection and maximum durability. Your fire hood is an investment in your health and safety…choose BarriAire Gold hoods from PGI. Complete Coverage (3979471): Particulate coverage includes entire head except for Sure-Fit™ panel at crown. Front and back bib extends particulate barrier coverage beyond critical areas as identified by NFPA – Maximum Protection.